Students at UC Berkeley who don’t identify as either male or female have a new option when it comes to using an on-campus locker room. It’s called the Universal Locker Room, and it’s at Cal’s recreational sports facility. 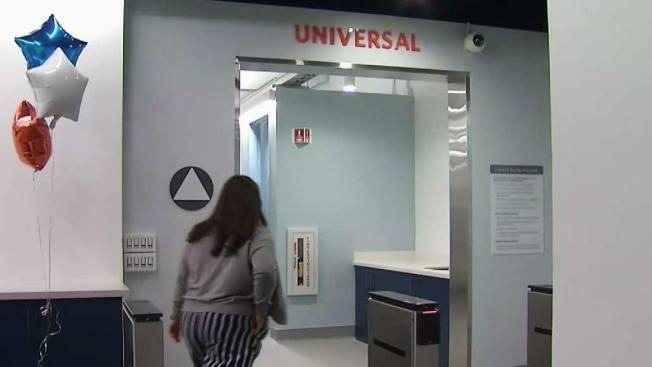 The $2.7 million locker room is the first of its kind in the UC system, providing a private space for students who are non-binary, transgender or need disability accommodations. "I hope students feel that this is a place that is accessible and open to them, regardless of who they are and how they identify," said Cal graduate William Morrow, who was instrumental in getting the facility built. The 4,500-square-foot locker room has its own entrance, 400 lockers, 16 individual changing rooms, seven private showers, five private toilets and four shared sinks, the university said. Trineice Durst, a former Berkeley employee, said: "I think it’s a place that offers privacy, and it really is for everyone." UC Berkeley officials said the cost of the facility will be repaid by students. Three years ago, the student body voted in favor of imposing an annual fee upon themselves to pay for the new locker room.